Financial statements are your business’s report card, and as such, they paint a picture of your company’s financial health. They’re so important that they should be at the top of your monthly reading list. These reports tell your state regulators if you are in compliance with their financial rules. They are your CPA’s guide to doing your annual taxes. They show your banker if you have the resources for that loan you are applying for. Most importantly, your financial statements are a measure of your company’s success. When you understand your financial statements, you understand exactly where your company stands. Your financial statements play a role in decision-making, planning strategies, estimating failures, and measuring successes. And if they don't, they certainly should. 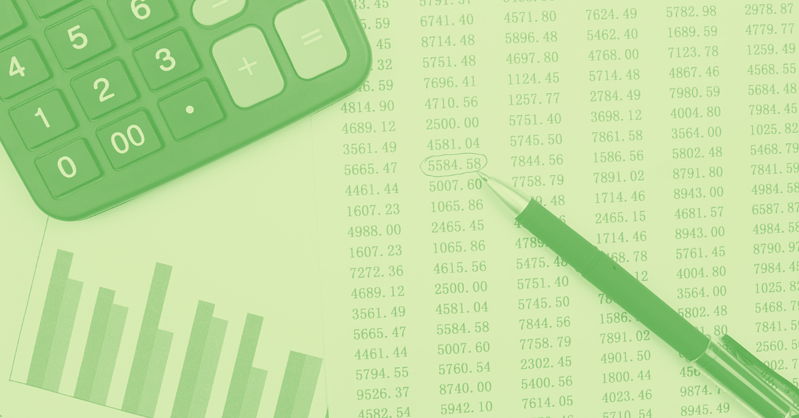 To understand your financial statements, let's start with the basics. You must first know what information each report provides. The three most common reports are the Profit and Loss Statement (or Income Statement), the Balance Sheet, and the Statement of Cash Flows. Your Profit and Loss Statement shows the revenue earned and the expenses incurred over a certain period of time. 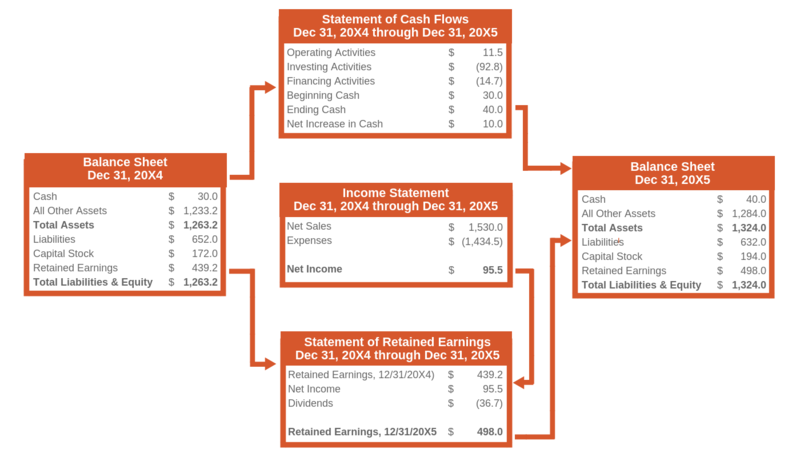 Your Balance Sheet provides a snapshot of your company’s financials at a given moment. Your Statement of Cash Flows shows how much cash is generated and used during a given period of time. Let's explore each report in detail. The Profit and Loss Statement (also known as the Income Statement) shows you money coming in and going out the door, and what’s left over afterward. This statement shows all incoming revenue and the expenses paid or incurred during the period of time you are reviewing. This report does not take into consideration how much money you have in investments, or even your bank balance. Instead, this statement reports total (gross) revenue from all sources and total expenses paid during that same period. When you subtract total expenses from total revenue, the result is the Net Profit or Loss for that time. *Cost of Sales or Cost of Goods Sold is used to report the direct costs affecting the delivery of the service or product produced. This is not always used for service-oriented businesses, however some RIA’s will use this to report the Officer Salary. So what is missing from the Profit and Loss Statement? You may notice that payments on the principal amount of a loan are absent. Debt repayment is not considered an expense to the company. Rather, debt repayment is an internal transfer. Your company credit card is a good example of this. Each month, the expenses you pay for with a credit card are posted as expenses to your company whether or not you pay the balance of that credit card. That is why the actual payment does not post as an expense. It will affect the Statement of Cash Flows and the credit card liability on the Balance Sheet as the debt was an expense incurred in the past. Money taken out from the owner as a distribution or owner pay outside of the salary are also not shown on the Profit and Loss Statement. Again, these affect both the Statement of Cash Flows and the Balance Sheet but not the net profit on the Profit and Loss Statement. This is exactly why you should rely on several different financial statements when evaluating your business’s financial health, not just a single report. The Balance Sheet provides a snapshot in time of what is owned (assets), what is owed (liabilities), and what’s left over (net worth). The accounting equation for a balance sheet is ASSETS = LIABILITIES + SHAREHOLDERS’ EQUITY. Assets are the value of items that a company owns—tangible and intangible. Liabilities are what the company owes in debts, either in the short term or long term. Shareholders’ equity is the amount the owner or shareholders have contributed, or the retained earnings, which is the amount a company retains of its net profits (loss) of all previous years. In equation form, NET PROFIT — DISTRIBUTIONS = RETAINED EARNINGS. Reviewing your Balance Sheet can help you answer questions such as does my business have too much debt, or am I taking too much in distributions? Additionally, if your state requires a minimum dollar amount in Assets then it becomes imperative to review the report. Certain liabilities such as the payroll tax or employee benefits payable are just holding accounts for money that you will payout in the time period required by the IRS. Whereas the Profit and Loss Statement includes a deduction for depreciation and doesn’t include principal payments on a loan, the Statement of Cash Flows reflects the actual movement of money. The Cash Flow from Operating Activities starts with the net income or loss from the Profit and Loss Statement and adds back Depreciation & Amortization as these items do not change the actual cash in the company. Next, Working Capital is calculated and subtracted from Net Income. Working Capital is the difference between the company’s current assets and current liabilities. Accounts Receivable are subtracted from net income, while Accounts Payable increase net income. Consider the fact that we are looking at the cash movement. Accounts Receivable indicate work that hasn’t been paid for or services sold on credit. There are no cash transactions at this point. Accounts payable, on the other hand, increase the amount of cash available because the company has more cash on hand at this point. The Investing Cash Flow category reports the changes in capital expenses and long-term investments, such as the purchase of land or other businesses. These investments cause the movement of money out of the business and are therefore subtracted from the net income. Cash Flow from Financing Activities includes the purchase and sale of stock and changes in the long-term liabilities and the shareholders', owner’s, partner’s equity found on the balance sheet. If your company borrows money, the cash borrowed increases the cash inflow, thereby increasing the net income. The payments on this loan will be subtracted from the net income. The totals from the three categories—Operating, Investing, and Financing—are then totaled to find the cash increase or decrease in a given period. This amount is then added to the opening cash balance (last year’s closing cash balance) and reported on the Balance Sheet under the Current Asset Section. Relying on only one of the three major financial reports will give you an incomplete and inaccurate picture of your company’s financial health. Instead, you should use your Balance Sheet, Profit and Loss Statement, and Cash Flow Statement together for the most comprehensive understanding of how your business is performing financially. But beyond looking at all three reports, you must also ask yourself, “Can I trust my reports?” If you are thorough with the information you are providing to your bookkeeper or CPA, then yes, you can trust them. However, leaving asset accounts out or not reporting debt owed by the company will certainly skew the numbers and result in false reporting. As your business grows, so does the complexity of your financial reports. As a business owner, you must understand what exactly you are looking at when reading your financial statements. But chances are you didn’t start your business just to be crunching numbers day in and day out. That’s where a bookkeeper comes in handy. Get in touch for more information on the bookkeeping solutions we offer.